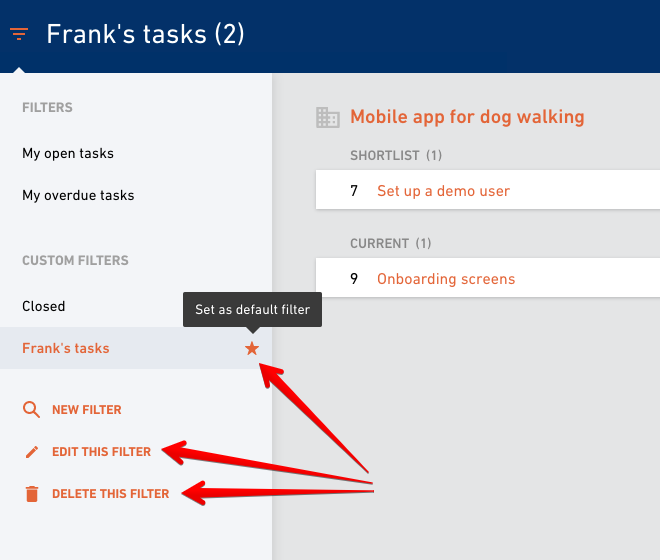 Manage task lists more efficiently by creating custom filters. Go to Tasks and pop open the Filters drawer on the left. You'll find here two default filters - My open tasks and My overdue task and an option to create a custom one. 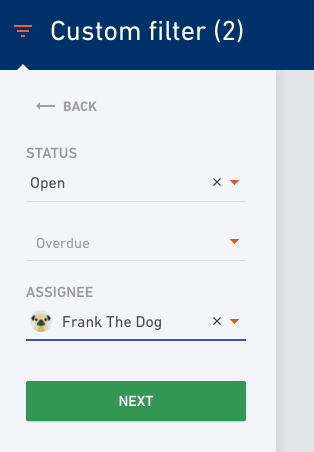 You can filter tasks based on three criteria: status (open, closed or both), whether they are overdue or still due and who they are assigned to. The third one might be very useful because it helps you check out what your colleagues have on their plate and potentially balance workloads more effectively. 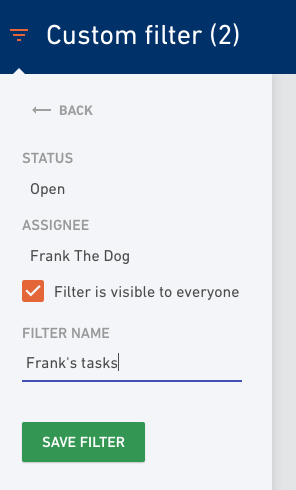 Give your custom filter a name and potentially share it with everyone else in your company. Remove the checkmark and the filter will be visible only to you. You can edit or delete your custom filters any time. 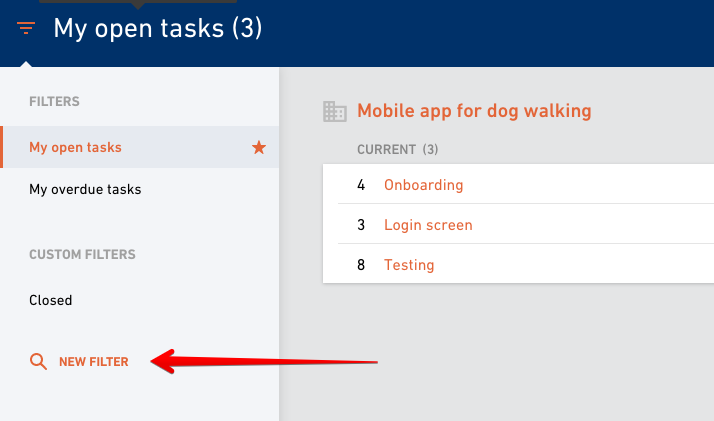 If you put a star next to it, it will show up as a default task view.